The capital account measures transfer in assets and liabilities. For example, this may involve a Japanese firm building a factory in the UK. This is counted as a credit on the UK Capital Account. The Capital account can also involve the purchase of securities and liabilities, for example, a Japanese Banker buying UK Government securities. Note in the UK the official name for the capital account is now the financial account. If a country has a current account deficit then, assuming exchange rates are floating, it will have an equivalent capital account surplus. This is necessary to finance a current account deficit. Some people worry about a current account deficit. 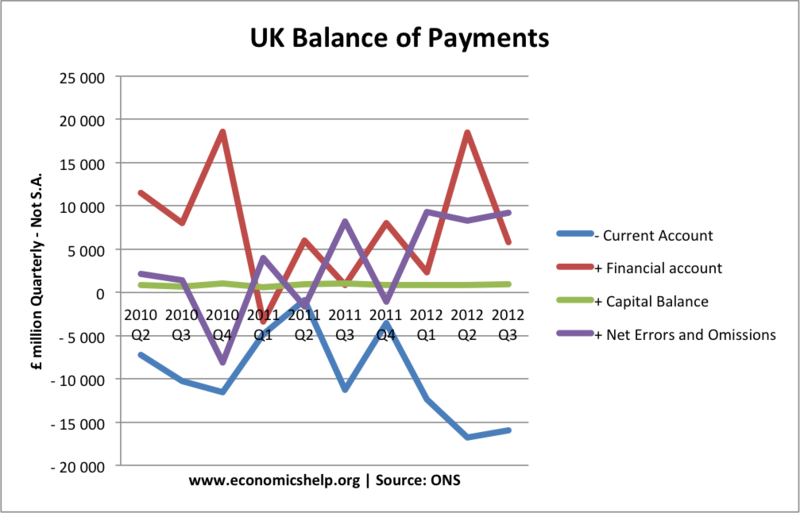 But, if it is financed by a capital account surplus e.g. investment then this can be beneficial. 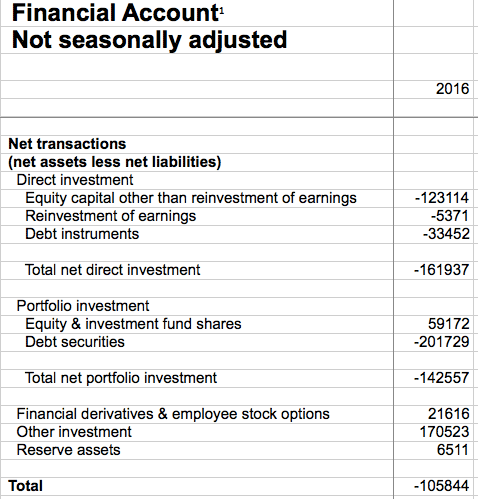 These stats show a large amount to account for net errors and omissions – showing the difficulty of collecting statistics but, roughly a current account deficit is mirrored by a surplus on the financial/capital account. Should we be concerned about a current account deficit?